The Silvera Firm represents various insurance carriers, employers, and self-insured in the defense of personal injury related claims. We defend workers’ compensation claims both before the Division of Workers’ Compensation and in state and federal courts throughout Texas. Our firm also handles non-subscriber, personal injury, and commercial disputes arising out of motor vehicle and trucking accidents, premises liability, products liability, and insurance coverage. Our firm also has extensive experience in defending medical disputes and compliance and practice issues before the State Office of Administrative Hearings. Our attorneys actively represent insurance carriers in every field office of the Division of Workers’ Compensation and in state and federal courts. 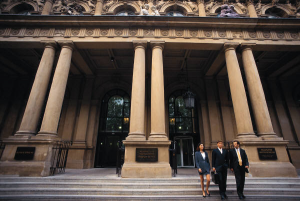 Our attorneys are licensed to handle cases in Texas State and Appellate Courts. In addition, our attorneys are licensed in U.S. Districts Courts for the Northern, Southern, Eastern, and Western Districts of Texas as well as the U.S. Court of Appeals for the Fifth Circuit. We handle the entire State of Texas.